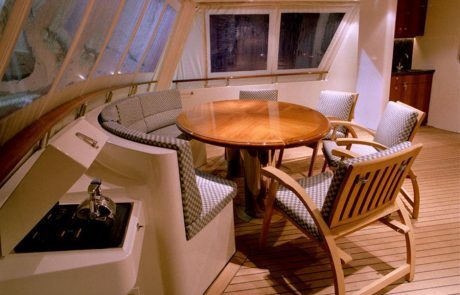 Built as ALEXA to a very thorough Vripak specification, she was designed by Vripak Yachting international and construction was preformed by Kuipers shipyard, The Netherlands. 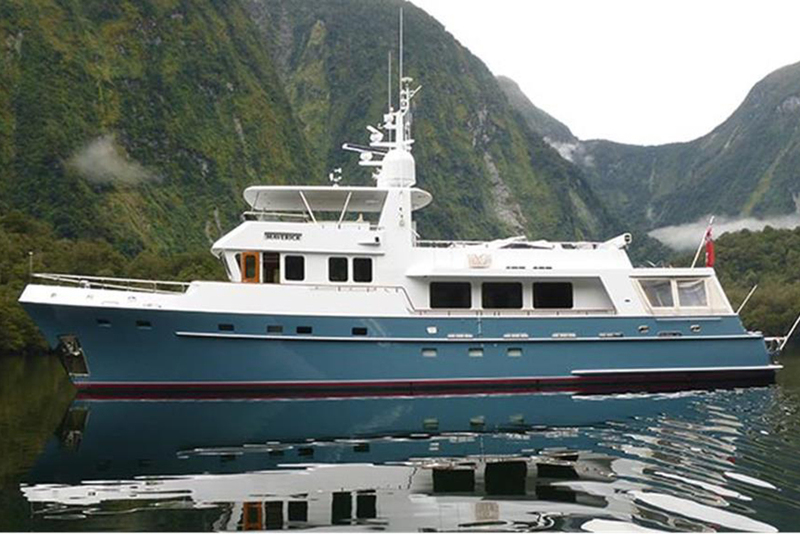 The design was carefully analyzed and was an enlarged version of previously built Vripak/ Kuiper’s expedition yachts. 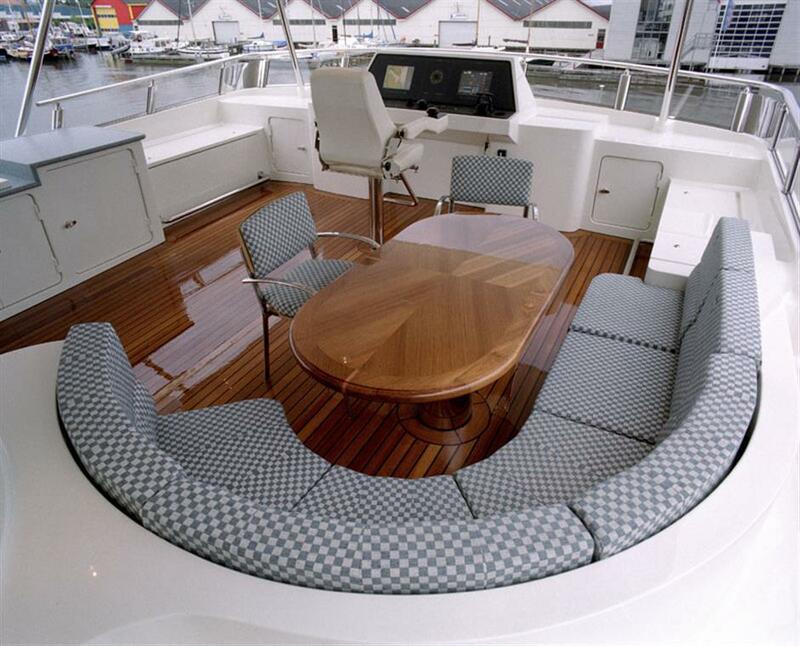 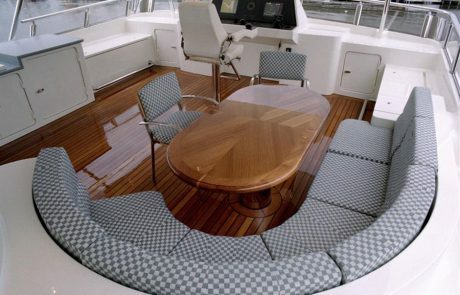 The yacht is a twin screw, round bilge, displacement hull, with flared bow, transom stern, and three decks. 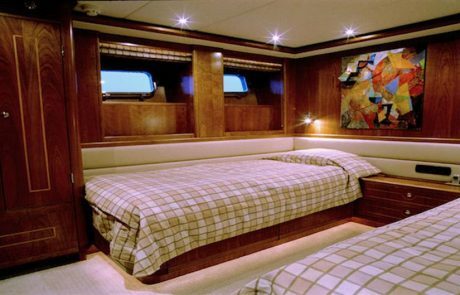 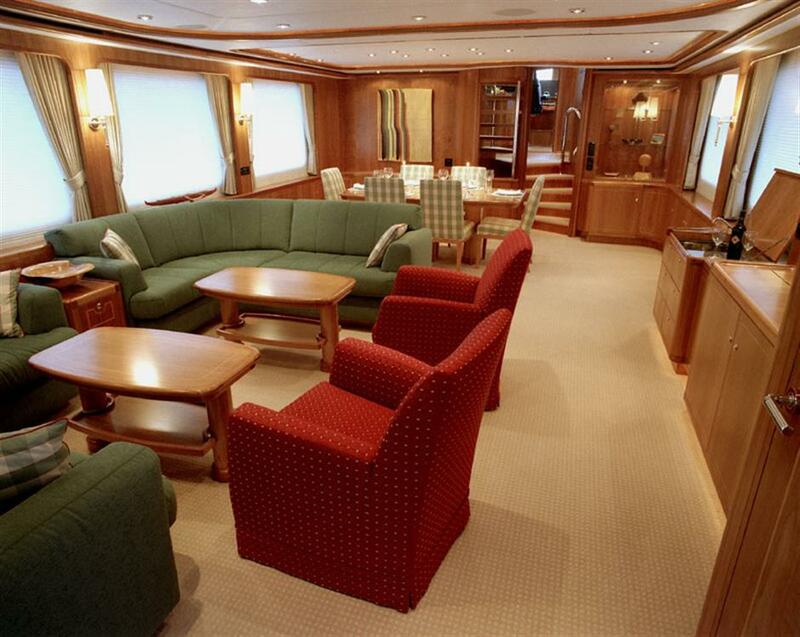 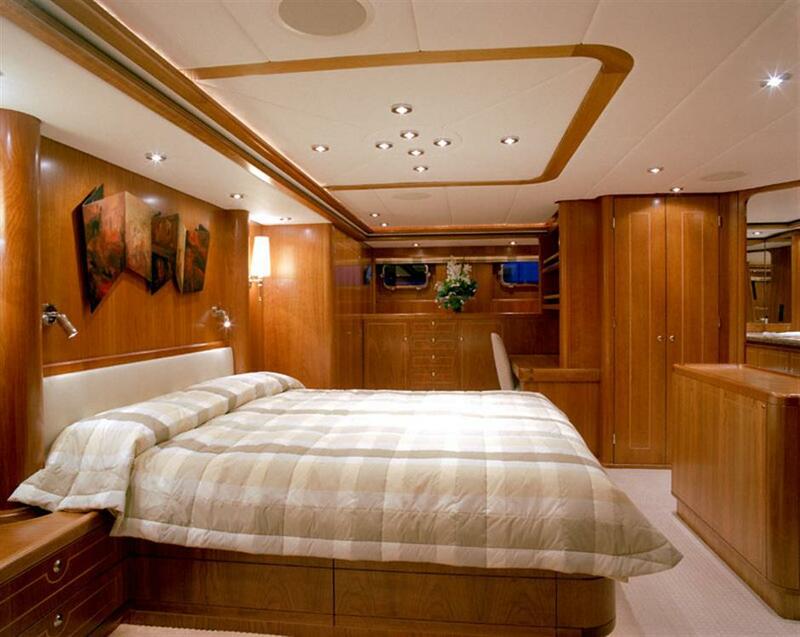 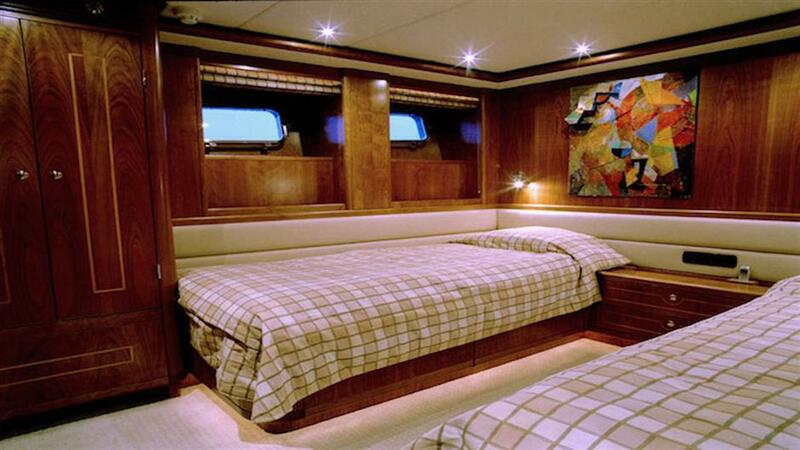 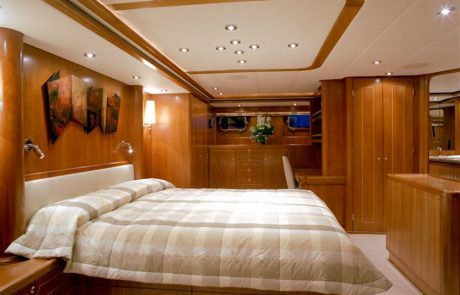 The first level is crew quarters, owner and guest staterooms, and engine room all separated by water tight bulkheads. 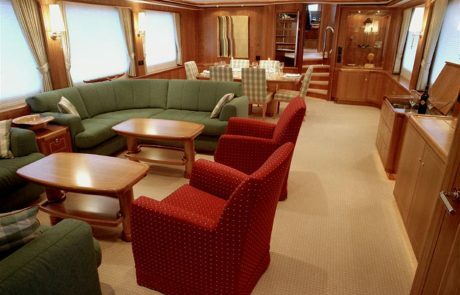 The second level is the pilot house, galley, main salon, and aft deck. 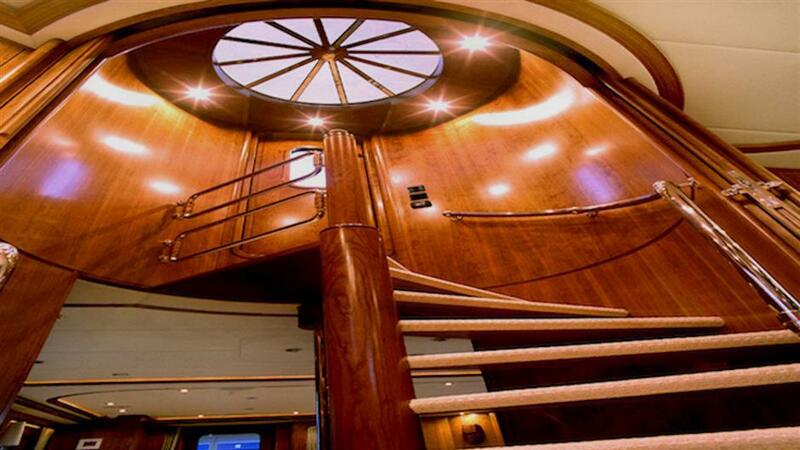 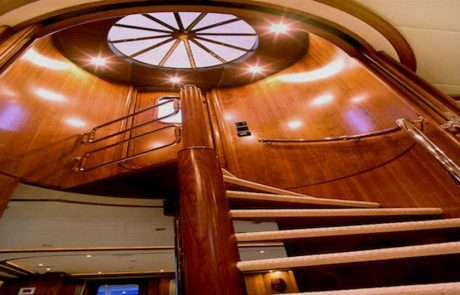 The third level is the flybridge and boat deck. 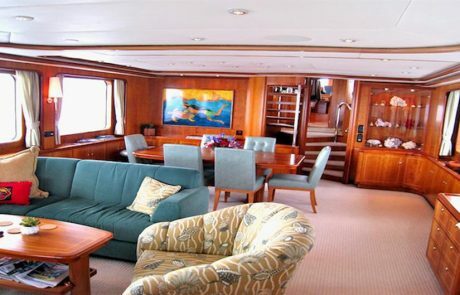 The design requirement was for intensive cruising capability and long ocean passages with emphasis on simplicity of maintenance and reliable systems. 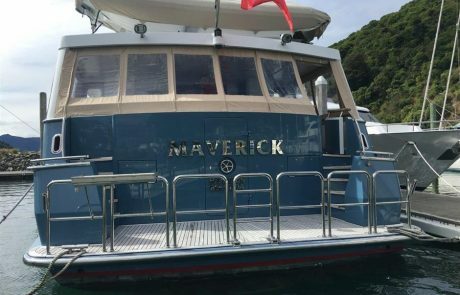 MAVERICK has preformed well and met all the requirements during thousands of miles of ocean cruising. 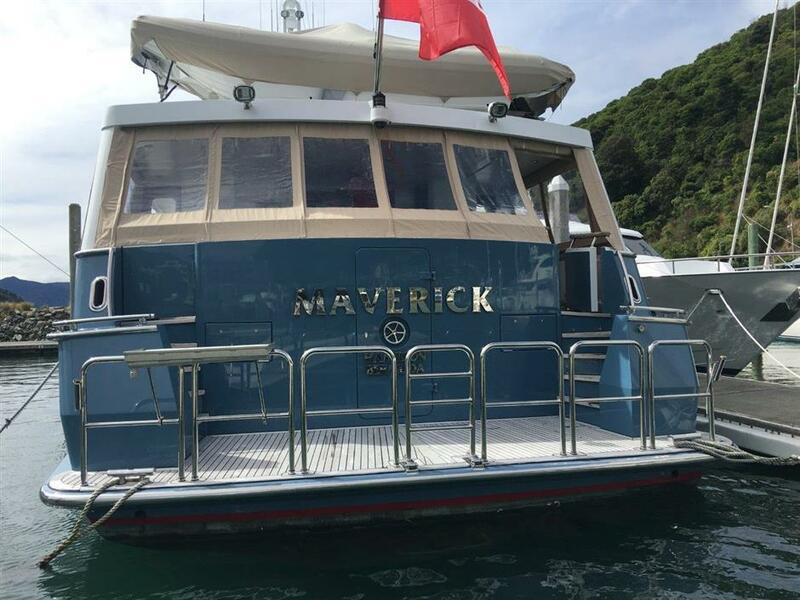 The current owner, an accomplished mariner has cruised approximately 5000 hours/ 48,000 nautical miles aboard Maverick. 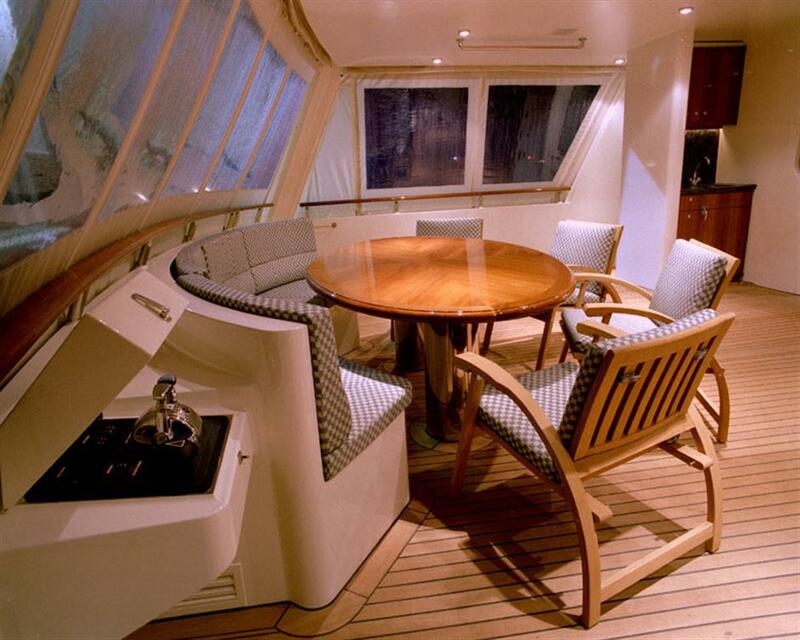 Other than cruising in New Zealand, all voyages were Ocean voyages from 1200 to 2800 nautical miles. 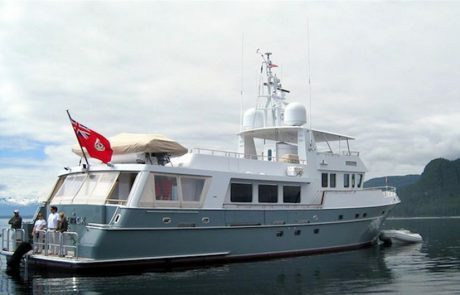 Frequently seas in the 12’15’ range were encountered and one time seas were in excess of 25′ feet and winds were in excess of 100 knots and the autopilot, oversized rudders, and hydraulic steering system kept the boat on course. 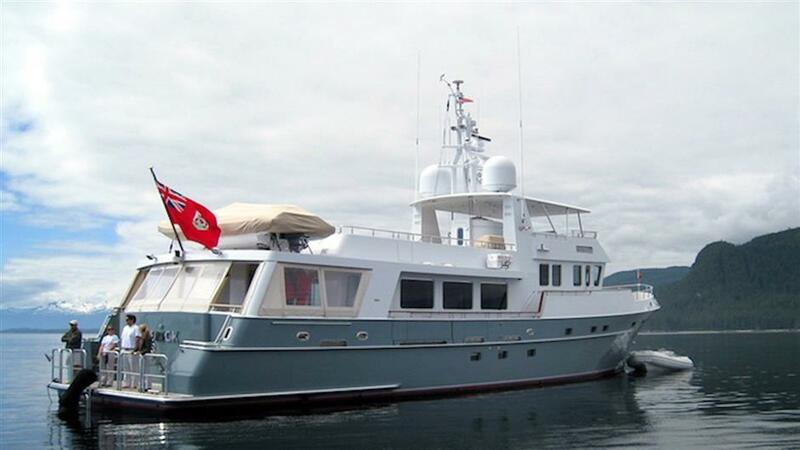 Through this 45,000 nautical miles of cruising at 1340 RPM/ 9.6 knots average speed, fuel consumption has averaged 58 liters per hour (15.3 gallons per hour) for an average consumption of 1.6 gallons/ nautical mile, with the small generator running. 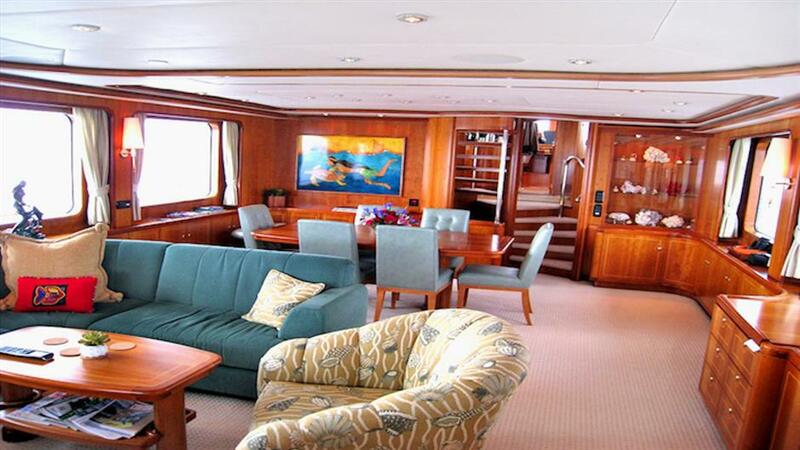 The range at 9.6 knots is over 6,000 nautical miles with ample reserve.